Who says luxury needs to be expensive? 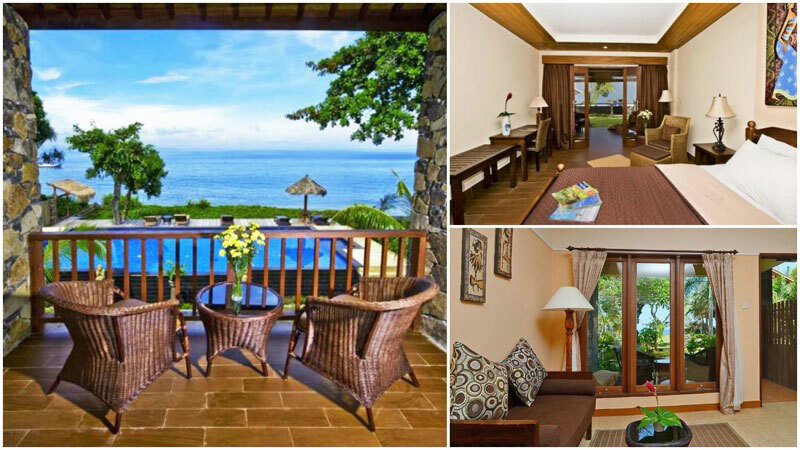 You’ve heard about these Lombok beachfront resorts for under $90, but do you crave for a bit more comfort, at a reasonable price? 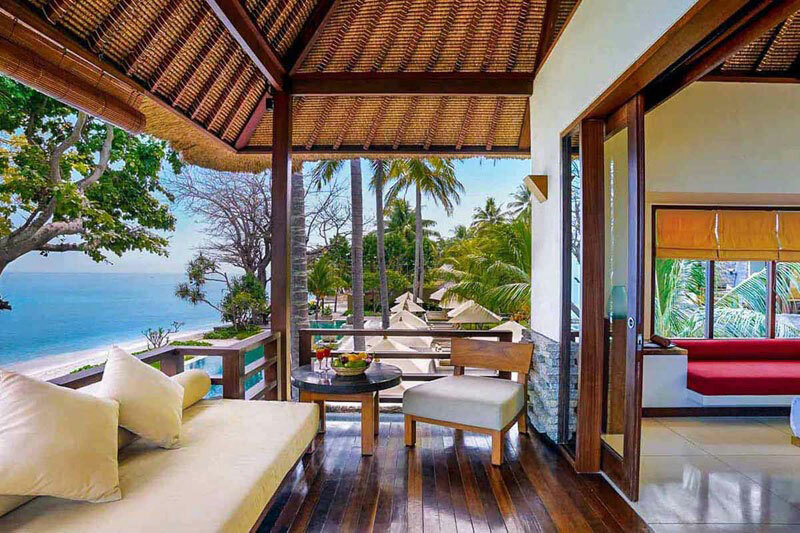 Whether you love falling asleep to the sound of the sea lapping at the sand, or waking up to the crashing waves against the shoreline, rest easy knowing that you can do so without going over budget. 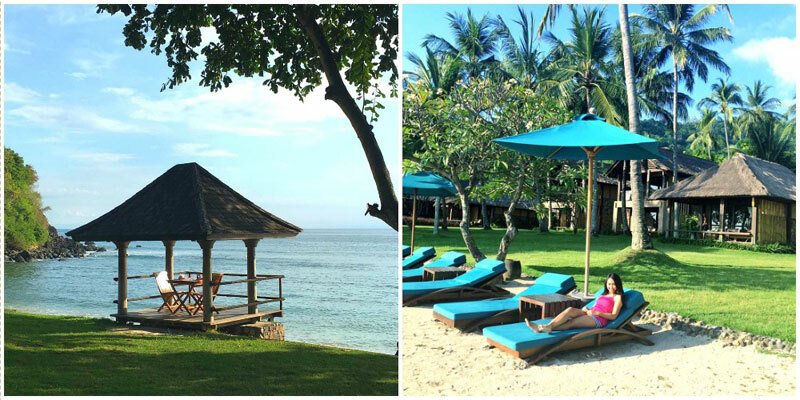 Here’s some excellent oceanfront choices we’ve found for you, if you’re thinking of an affordable luxurious stay along the coast of Bali’s lesser-known sister, Lombok! Note: The prices reflected below are the low season rates for beachfront rooms, and they exclude tax and service charges. Accommodation rates often change with room availability, and low or high seasons. We recommend double checking for the final prices before confirming your booking. 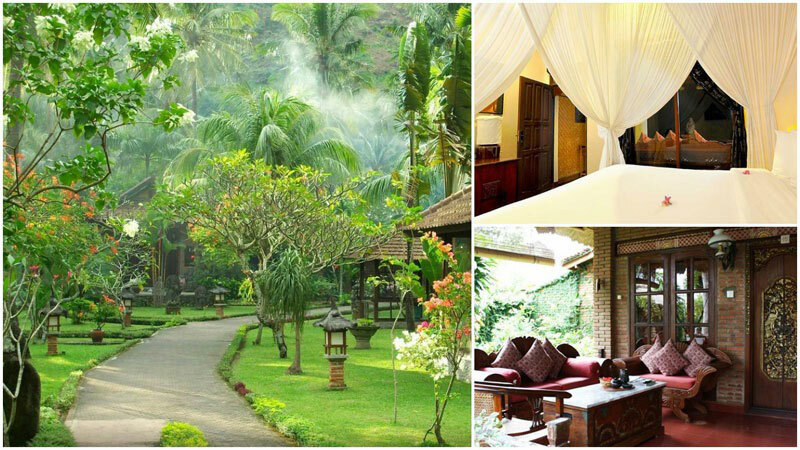 If you’re after accommodation fit for royalty, we’re confident you’ll love Katamaran Resort. 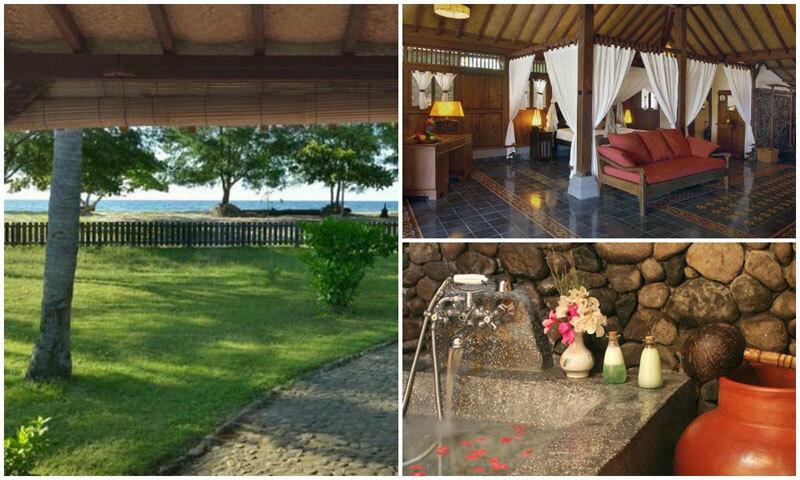 Though it’s located in the heart of Senggigi, this resort is by no means crowded. A quiet spot in a world of its own, Katamaran offers breathtaking ocean views the moment you step out of your private villa. Good news for beachcombers – the sand is only steps away from your doorstep, so it’s easy to answer when the ocean is calling! Should you get tired of the white sand and crystal-clear waters (though we doubt you would! 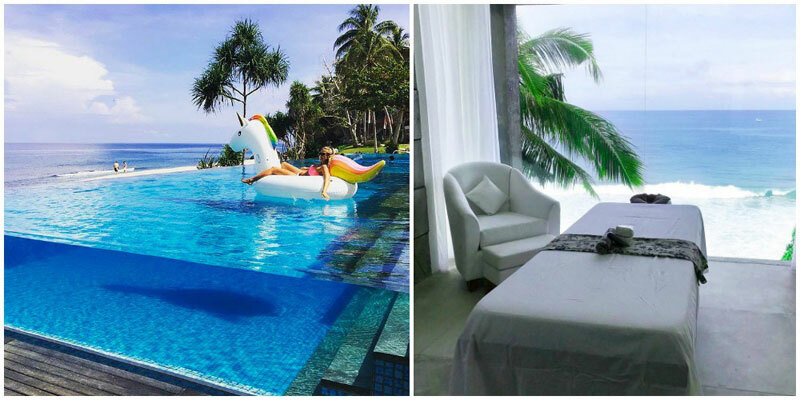 ), feel free to spend a day at the in-hotel Soul Bliss Spa or by the poolside, sunning on a recliner at the huge above-ground glass infinity pool. If you want to stretch your legs a bit, a taxi to central Senggigi costs less than USD $2 for a day of shopping and exploring. 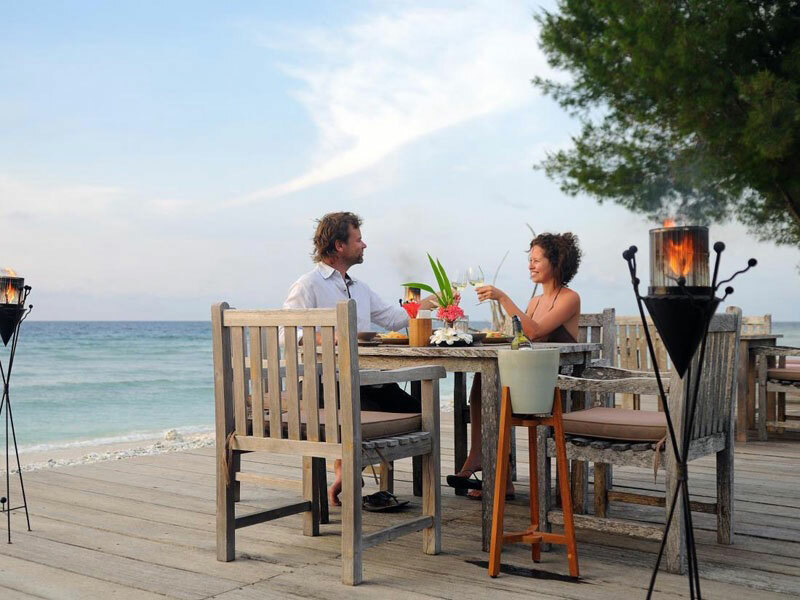 Return in the evening, when the two onsite restaurants are also perfectly set up to provide ocean views, making dinner and drinks while watching the sunset an unforgettable way to spend the evening! 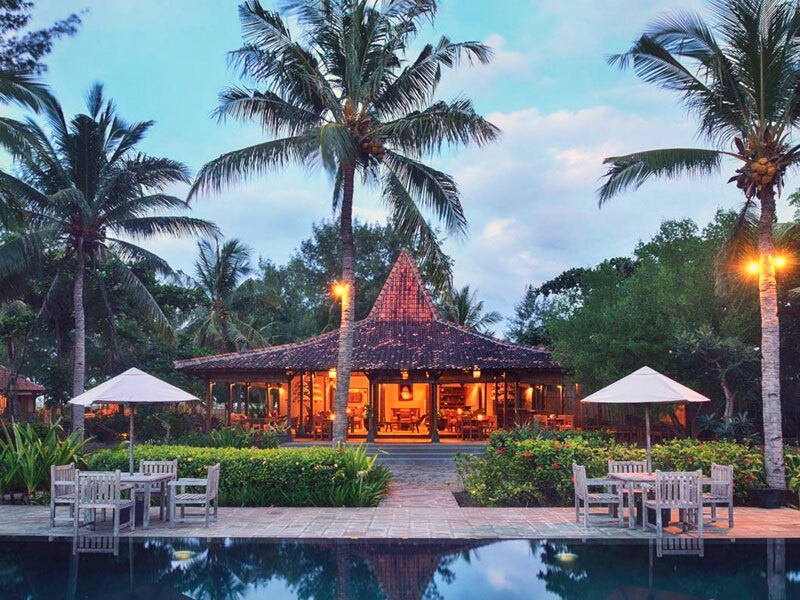 Luxury is not in short supply at Jeeva Santai Villas. 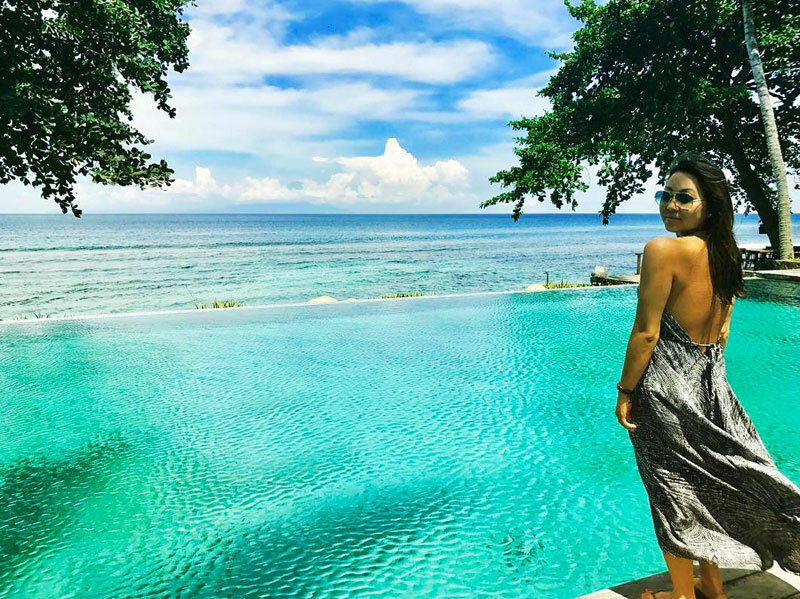 From outdoor rain showers to a tantalizing breakfast menu with a wide variety of culinary choices, you’re sure to have an indulgent and delectable stay here. For beach lovers, there is a perfect, soft sandy beach only meters away – perfect for spending a sunny day splashing around in the clear blue water. 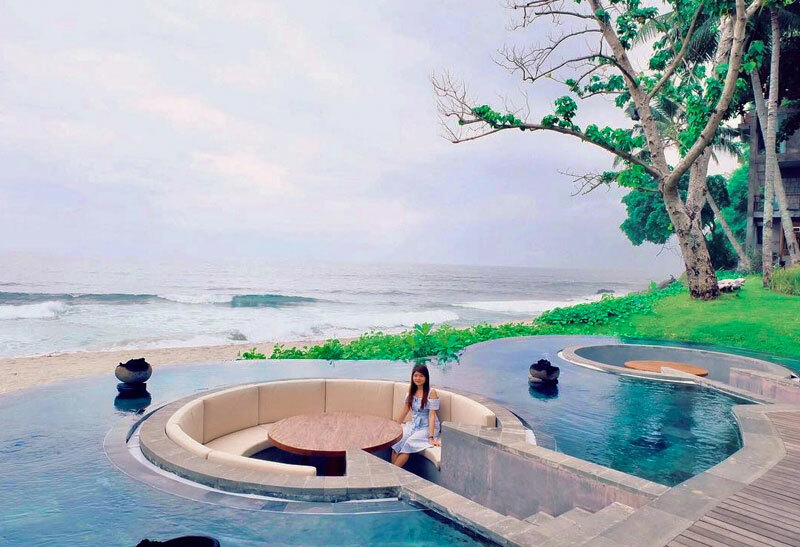 The pool is just as inviting, being situated right at the water’s edge – a prime spot with stunning views of Bali across the water and mesmerizing sunsets. 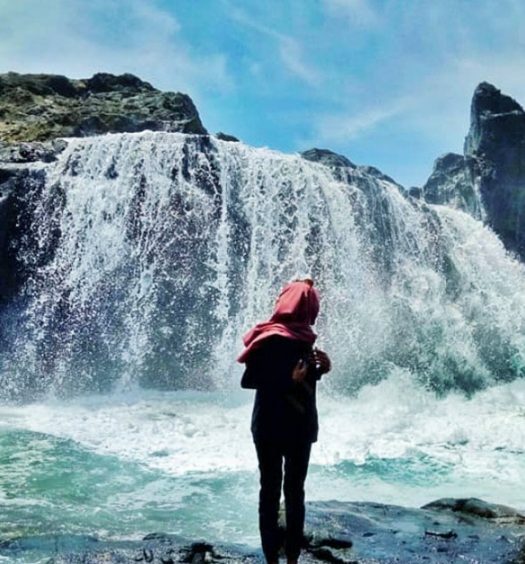 If you love beaches (especially unique ones! ), this resort has got you covered. 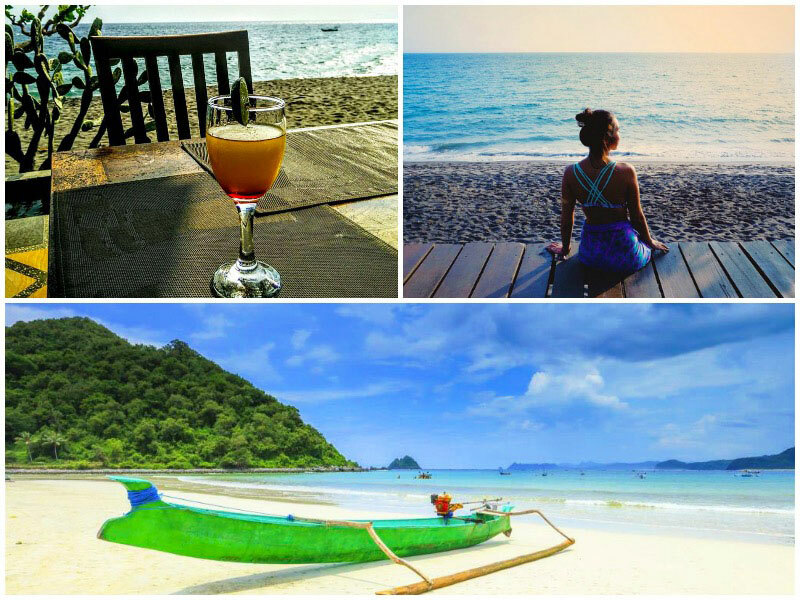 From its black sand beaches, darkened due to volcanic ash deposits, to its great beachcombing reputation, you’ll love this beautiful hideaway. If you’re a surfer, don’t forget your board! 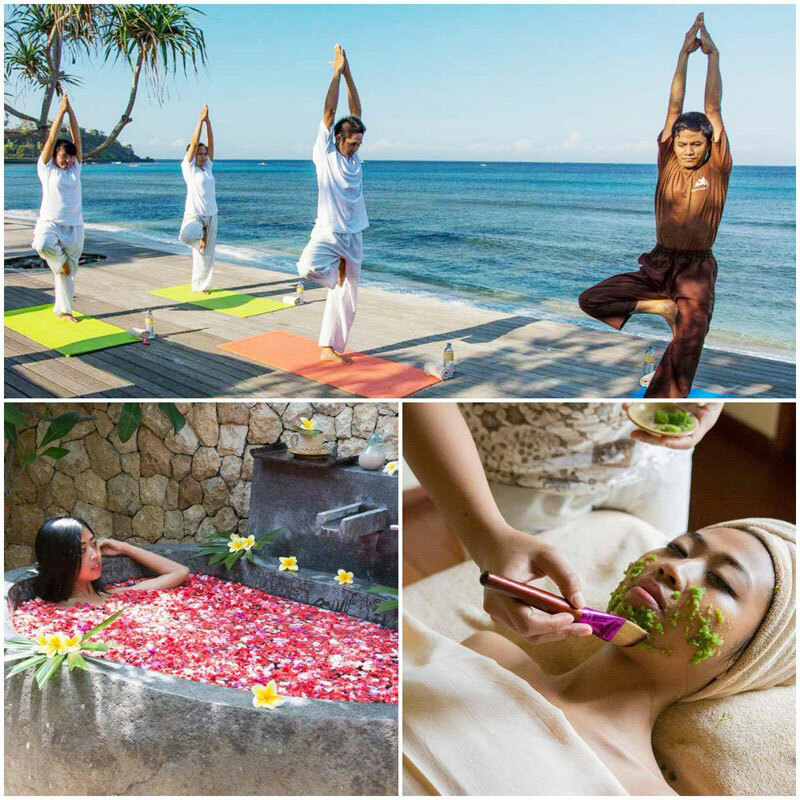 Living Asia would be a prime spot for you. 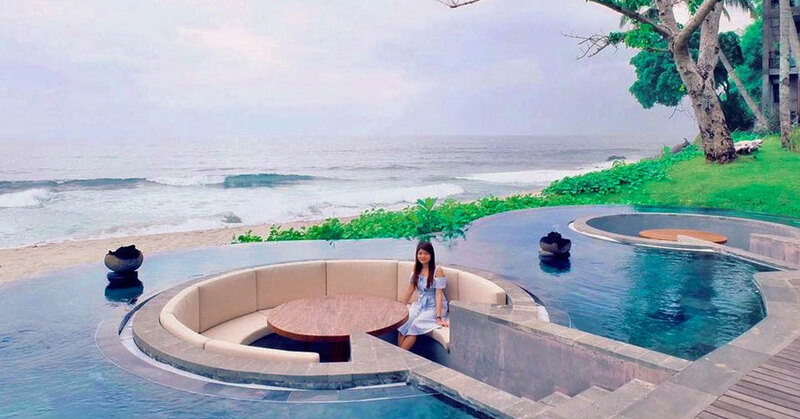 You can also spend a day at poolside, where you can enjoy an amazing view of the ocean. 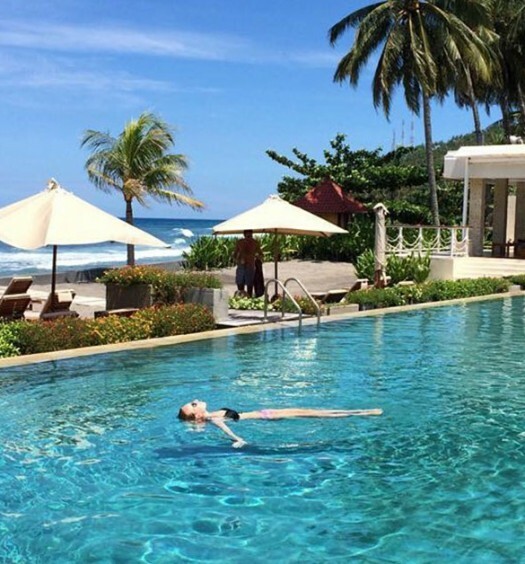 This makes for a great daytime swim, with complimentary afternoon tea. Alternatively, you can partake in an evening swim at sunset. Rooms also have outdoor showers, so you can take a refreshing shower with a touch of passing rain to cleanse and relax yourself before bedtime or first thing in the morning for an energizing burst to start your day! 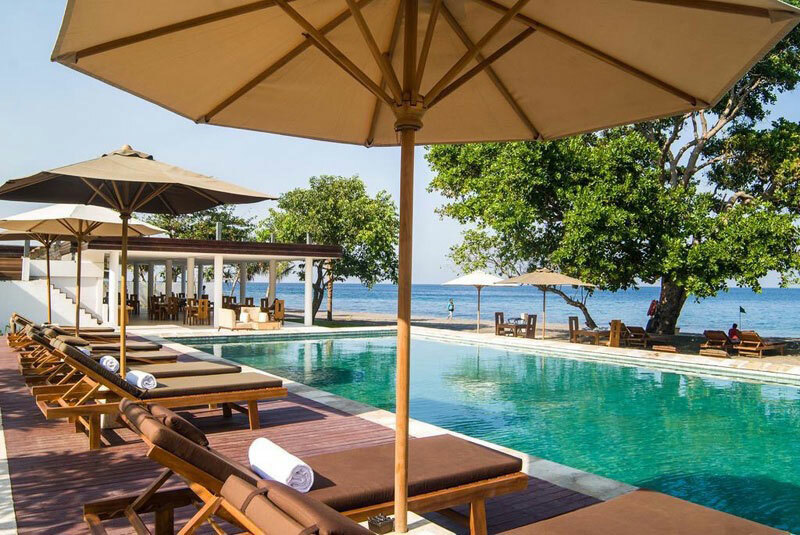 Touted as Lombok’s Garden of Eden by one reviewer, the Jeeva Klui Hotel is an oasis of tranquility nestled at the water’s edge. 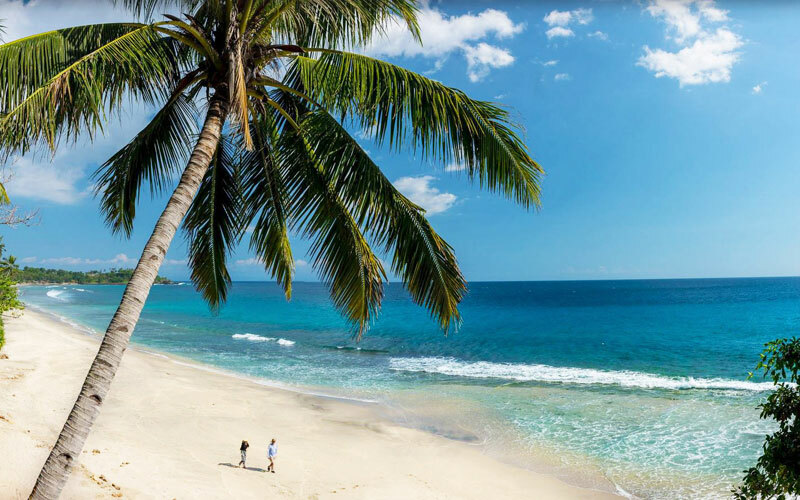 Here, you’ll find a private beach peppered with beach shacks and lounge chairs to lie in the sun, and if you start to get a little warm, the shallows of the water are a great place to do a little snorkeling! 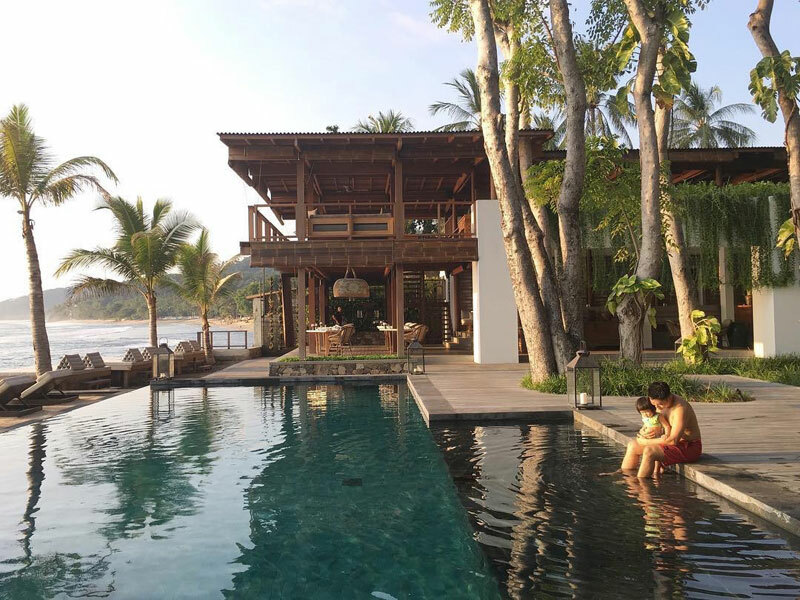 The clear, crystalline infinity pool provides an excellent viewpoint to watch the sunset from – even better with a cold cocktail in hand. 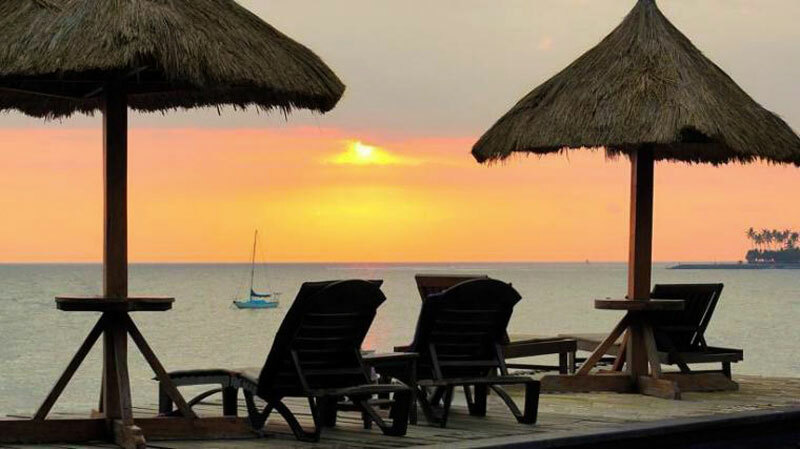 What better way to fall asleep than after the relaxing sight of the sun setting in the horizon, with a few drinks to loosen you up, and the sound of the ocean waves lapping against the sand? Are you ready for Happy Hour? 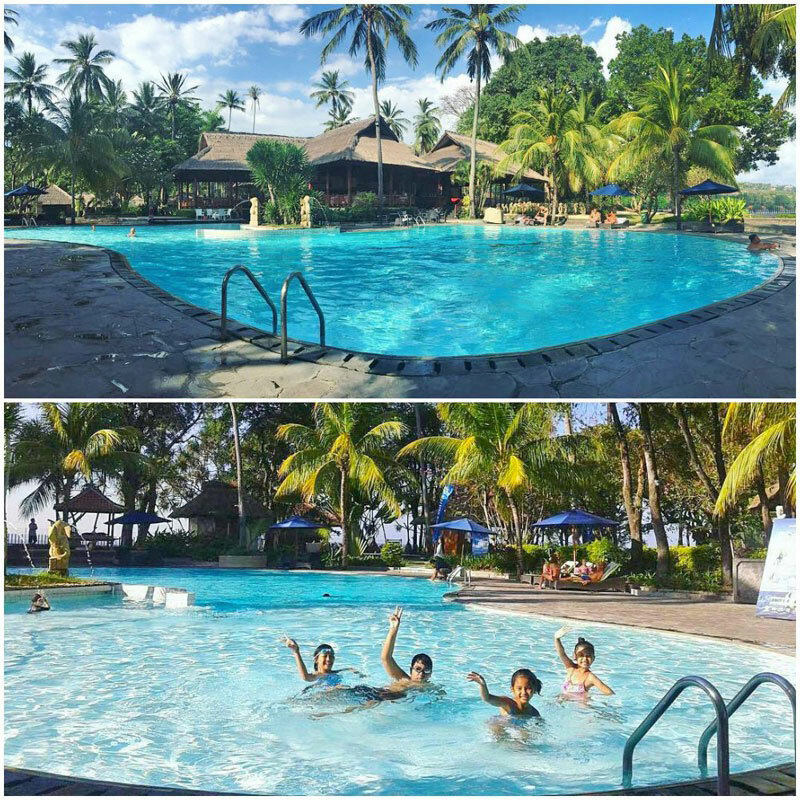 Or happy week, rather, since you’ll be all smiles for the entire length of your stay at Qunci Villas Hotel. 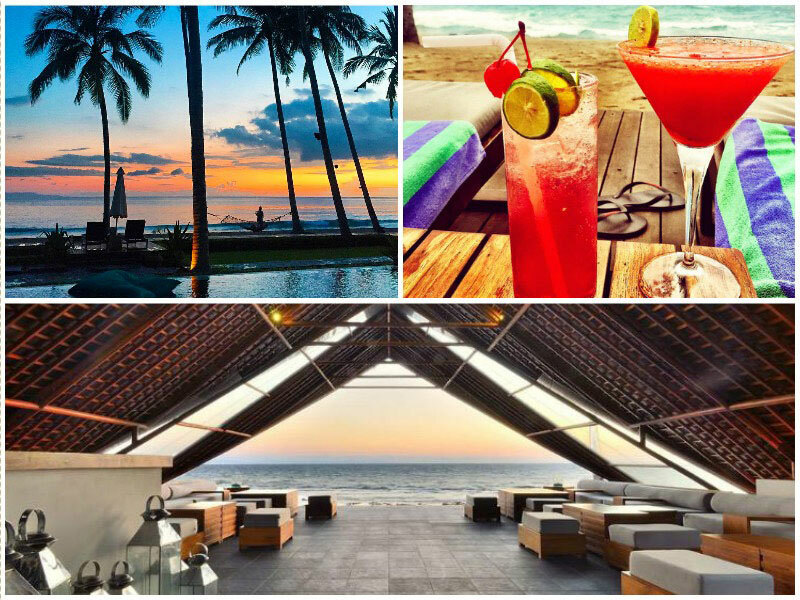 Between its three swimming pools and a truly happy Happy Hour from 5pm to 7pm with an extensive cocktail menu, who wouldn’t be happy? 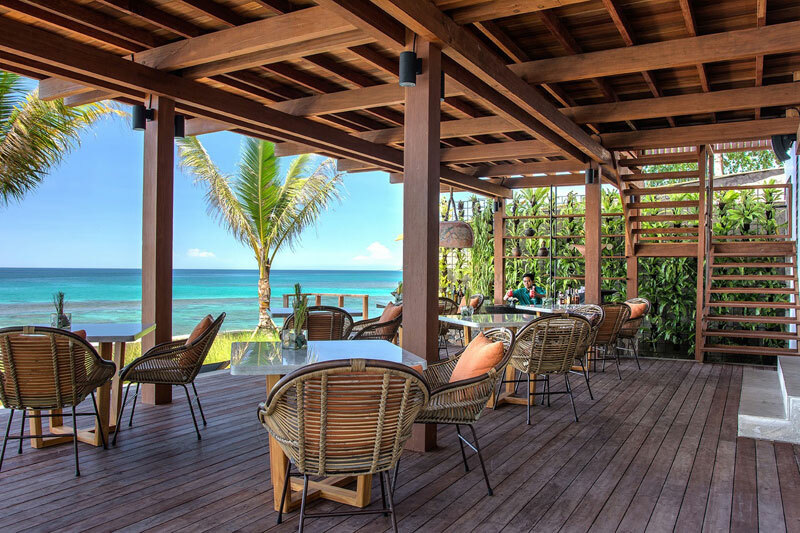 Sip a frosty margarita or a sweet, tropical piña colada as you lounge on the sun chairs only metres from the ocean’s edge. 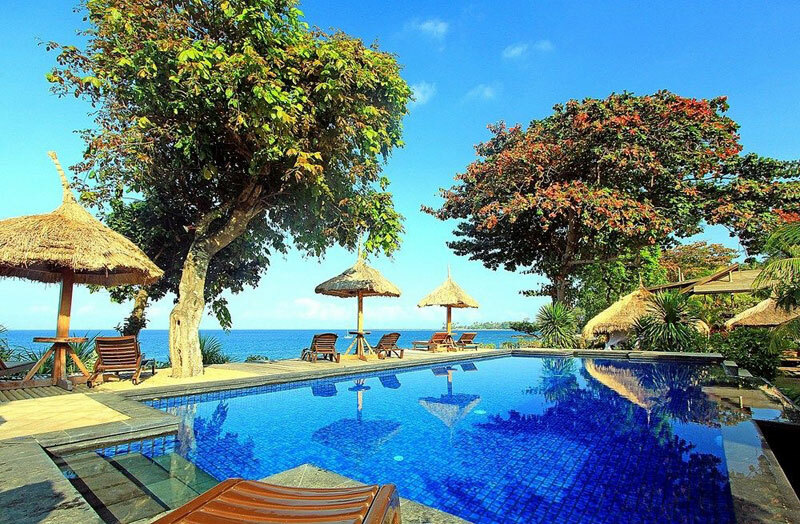 If you start to get a little warm, enjoy a dip in one of the pools or the warm salty waters of Lombok! 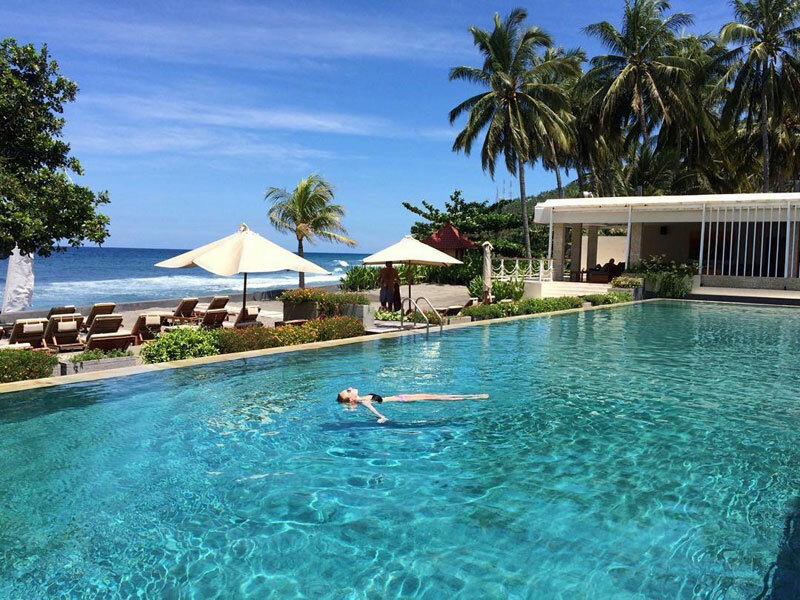 If you’re not in the mood for a swim, feel free to take advantage of the onsite Qamboja Health Spa for a massage or a mani-pedi, or even the early morning yoga classes (with an amazing view of the sea!) that are offered right here in the hotel premises. 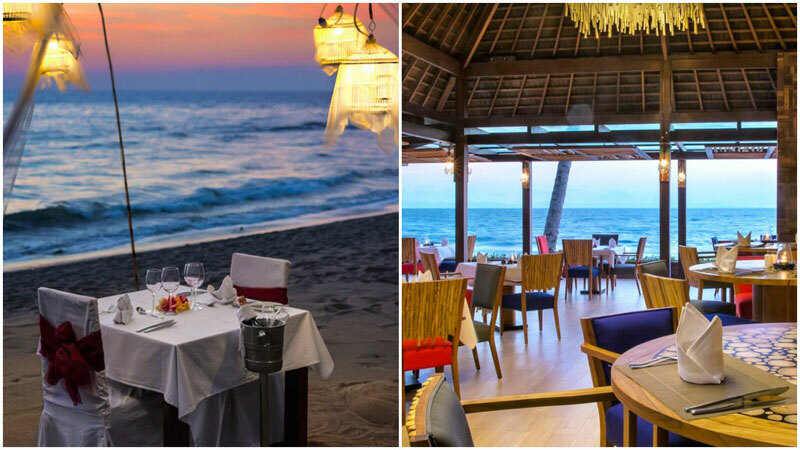 There’s nothing not to love at the Chandi Boutique Resort – from its variety of culinary options to the prime location, you’ll have a calming and relaxing stay. 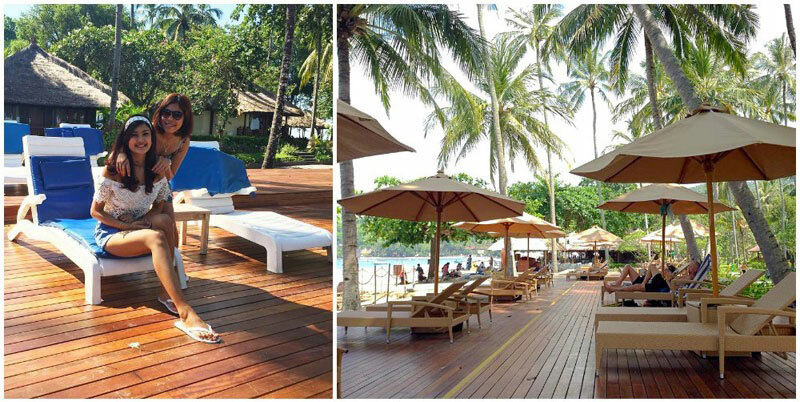 The laid-back beachfront bar, Quri Beach Bar, is nestled under coconut palm trees, right on the beach! Enjoy a plate of tapas and a cold drink while you watch the fiery sun melt away, and the calming hues of moonlight light up the night. 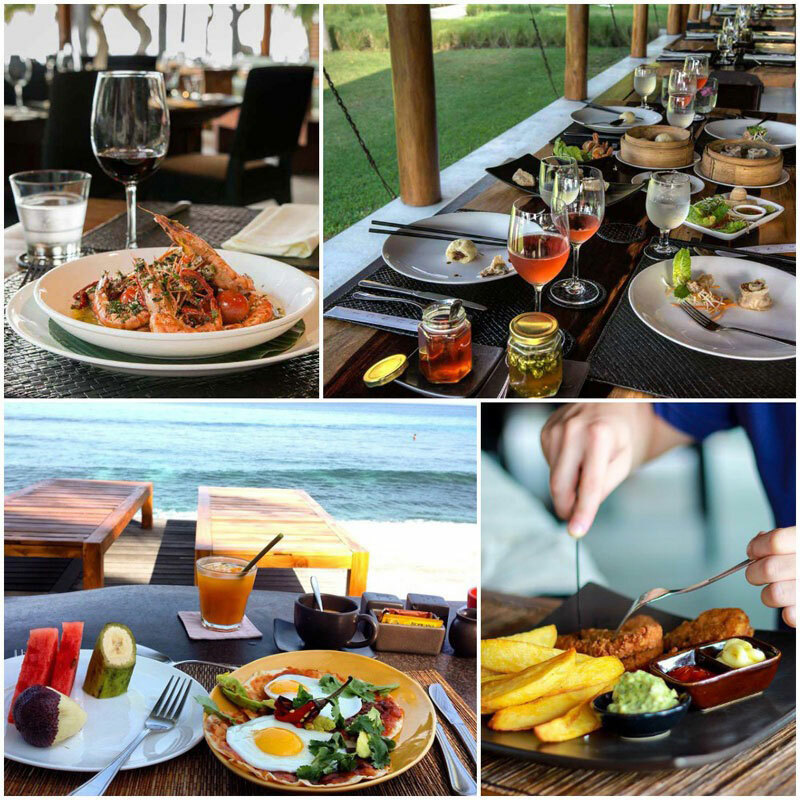 If you’re after something a bit more substantial, try Meru, the onsite restaurant. 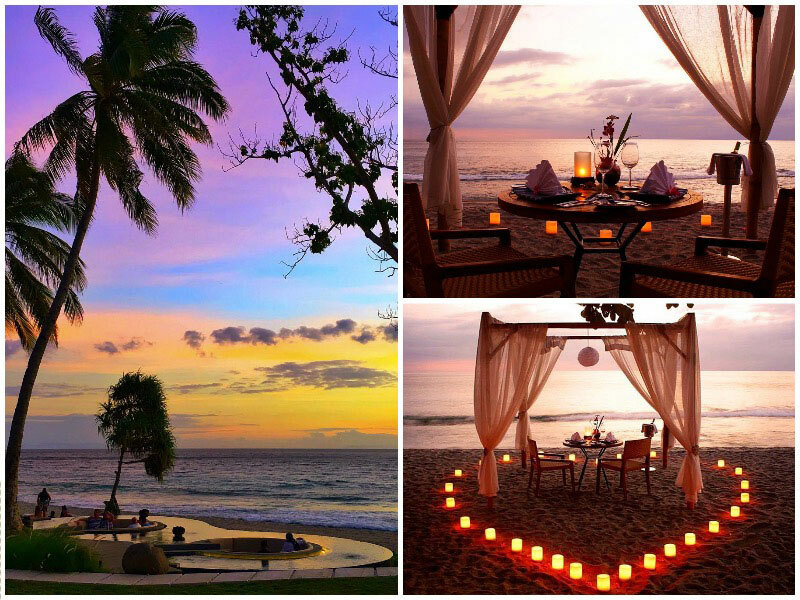 There’s even a personalized romantic menu for couples! 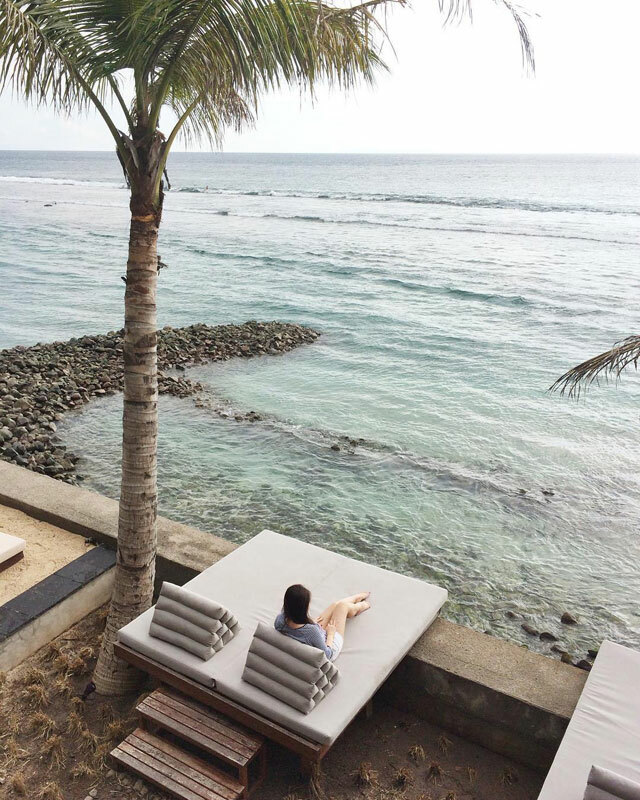 Spend the day soaking up the sun, whether you’re by the poolside, or right down on the sand, comfy in one of the squashy beanbag chairs arranged neatly under the shade of the palm trees. 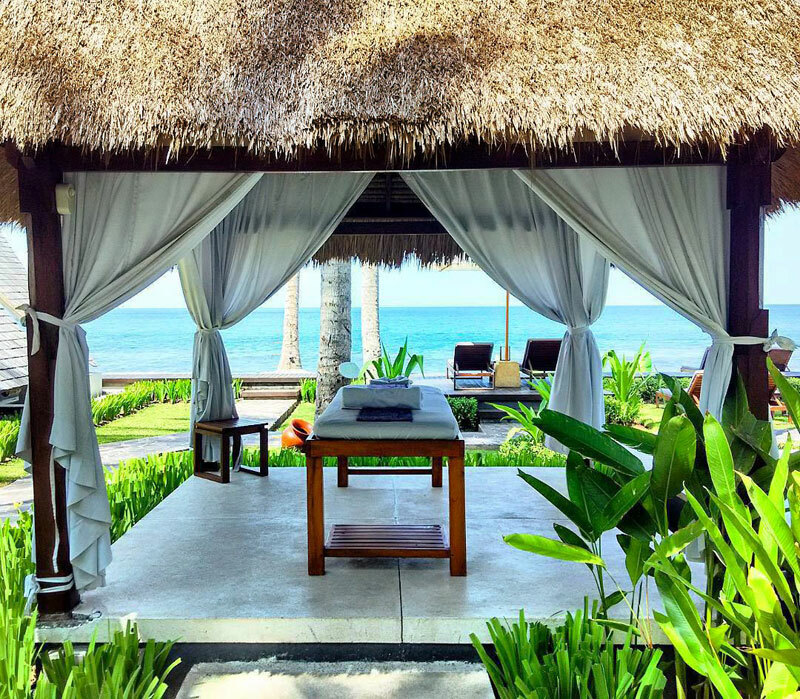 If the sun is getting to you, don’t miss the Mandri Spa, where in addition to massages, you can opt for body scrubs, body wraps, or even sunburn treatment if you’ve gotten a little pink! 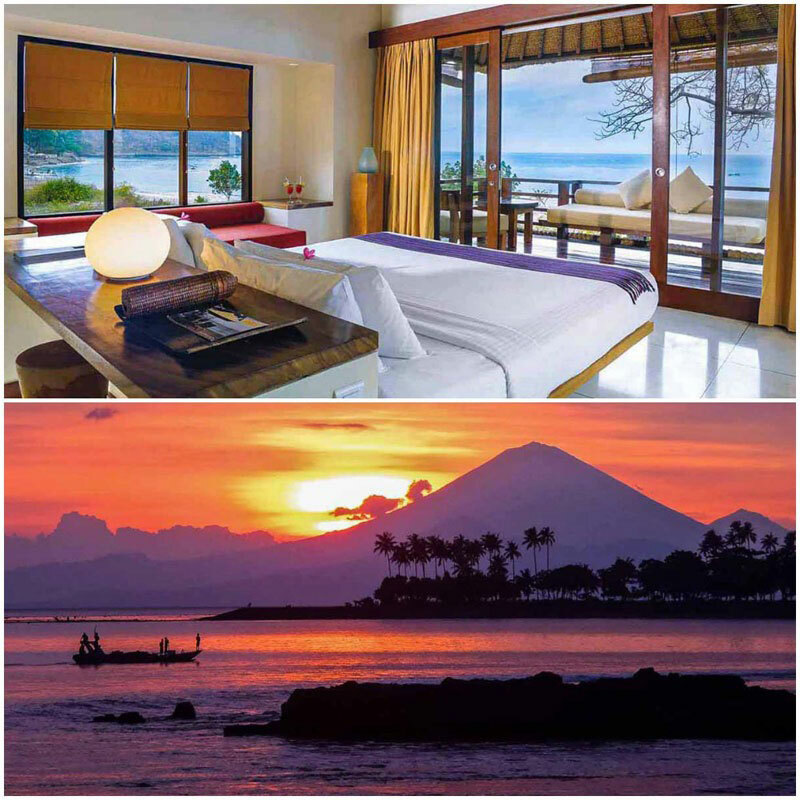 Kila Senggigi is the place to stay if you’re after a resort with a vibe! Not only does this beautifully rustic resort offer the same amenities as all the other leading resorts (a huge pool, beach access, and bungalows with stunning views of the ocean and sky), but it’s also one of the few places you’ll find live bands and music at the on-site restaurant in the evenings. 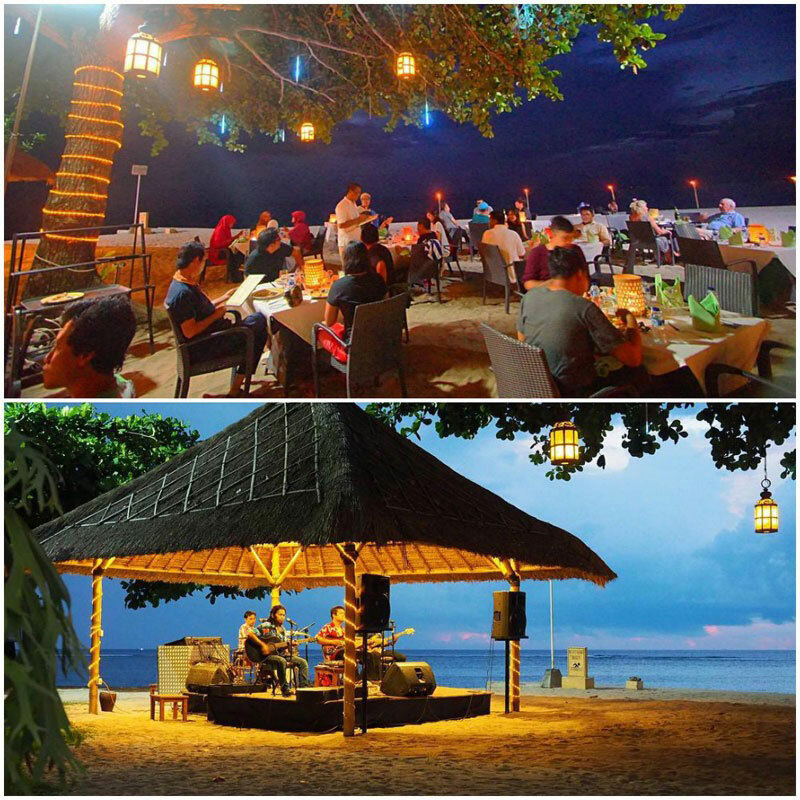 Relax and dig into dinner as you listen to the sounds of island music and the gentle rush of ocean waves against the shore. For daytime fun, don’t forget to check out the mini market nearby before taking a refreshing dip in the ocean or pool! 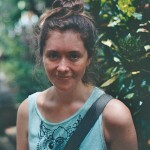 Better yet, spend the entire day at the market, followed by dinner and a moonlight swim. 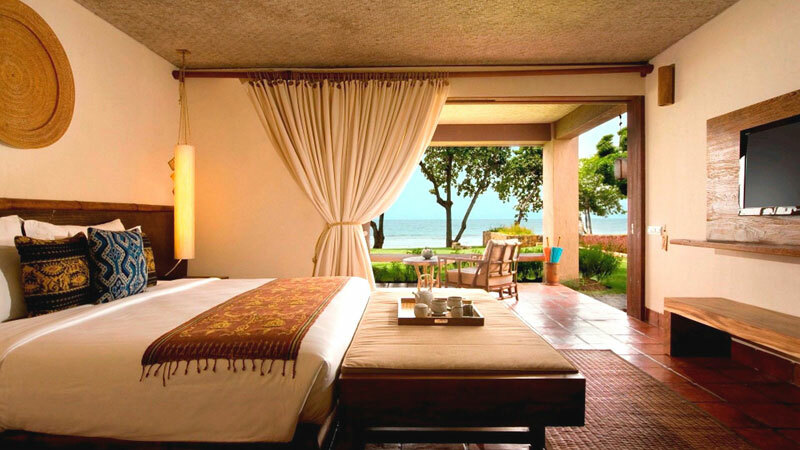 For a true taste of luxury, you can’t beat staying in the Royal Suite at Puri Mas Boutique Resort. 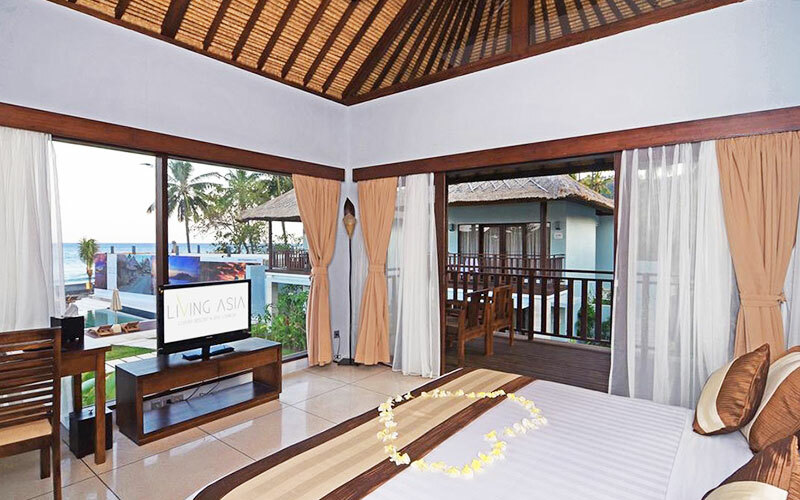 This extremely large room of the Royal Ocean View Suite comes with all the comfort you need to relax like royalty, including a huge bed and a bright, sunny bathroom that runs the length of the suite, complete with a big stone bathtub and rain shower. 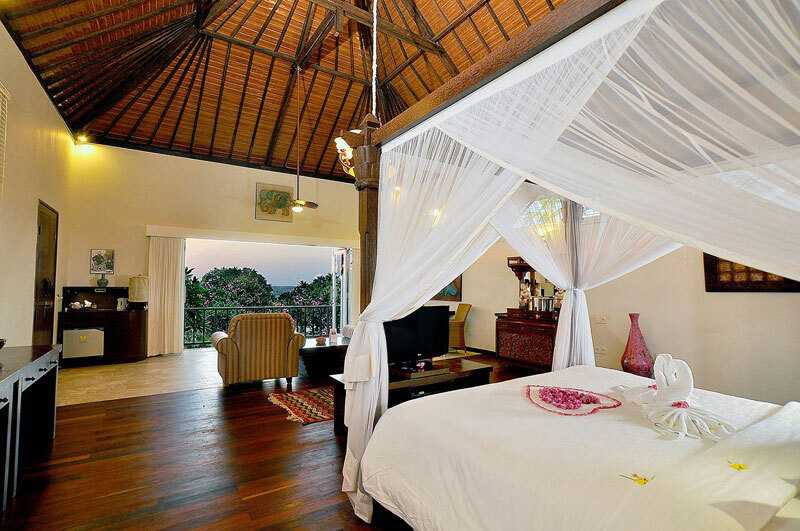 From the main balcony, you are treated to wide, beautiful views of the Lombok Strait, which make this particular suite a perfect spot for romantic sunsets and star-gazing after dark. For those on a tighter budget, you can opt for the Classic Queen with a partial ocean view. It’s still enough to tease the room occupants and make them want to head down to the water’s edge! 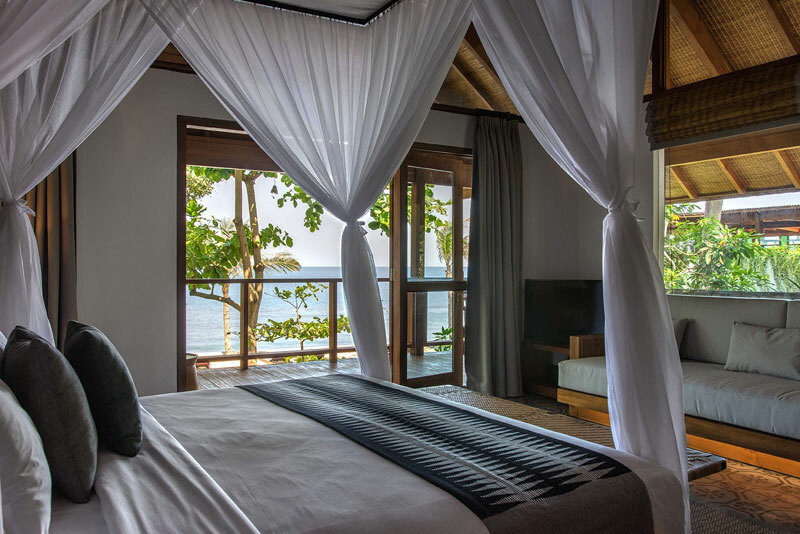 Rooms have a balcony with partial view of the water, making it the perfect spot to relax and sit back with a book or a refreshing drink. 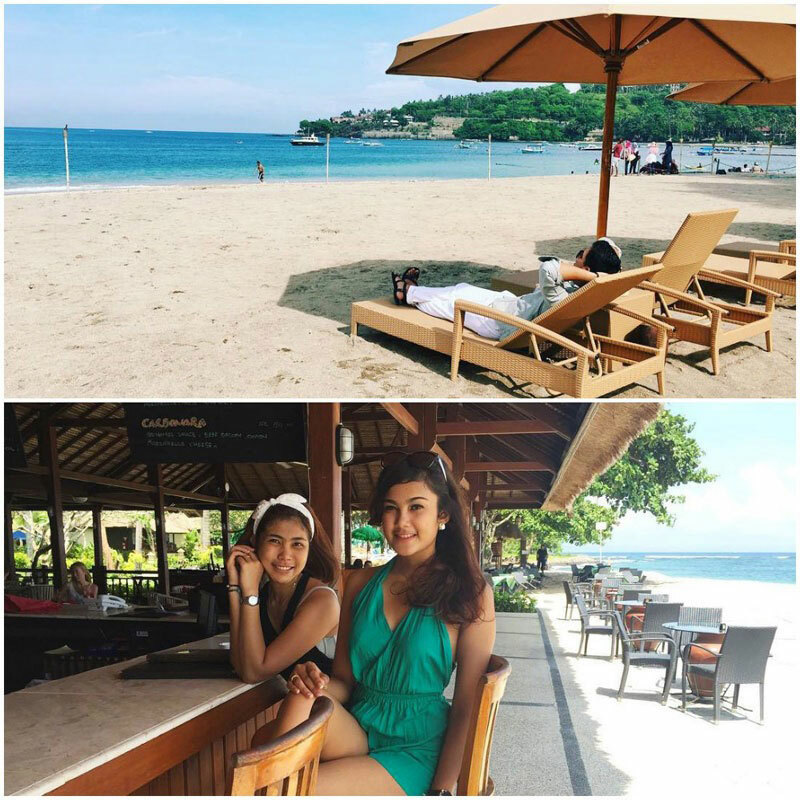 Later in the day, you can a trip down to the beach (only steps away! ), which is a perfect spot for surfing. 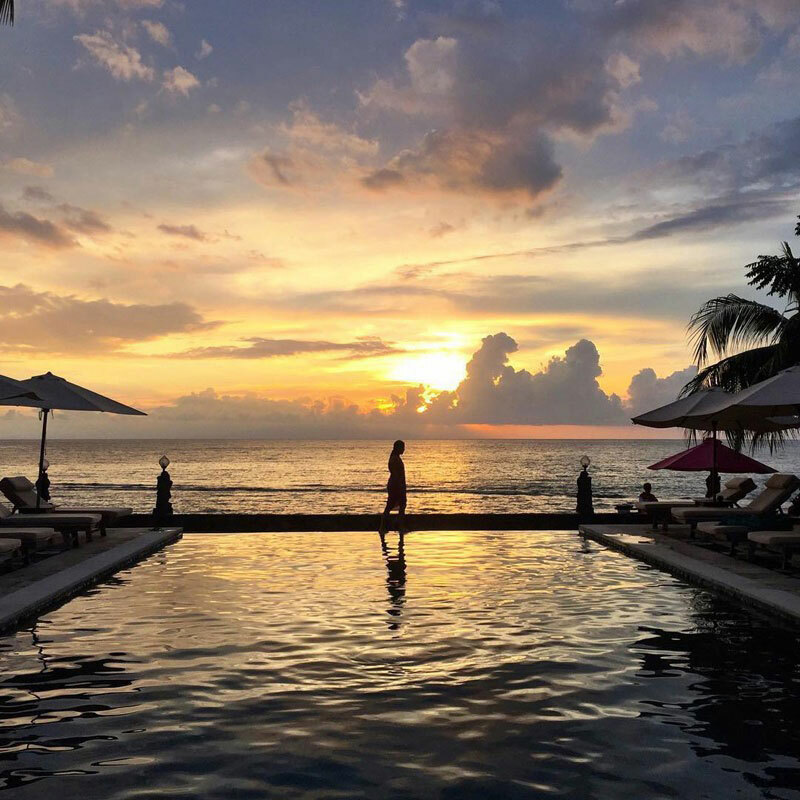 Alternatively, take a dip in the pool – an excellent viewpoint to watch the gorgeous orange, purple, and rosy hues of sunset. If you’re searching for a quiet oasis away from the noise and crowd, you can stop looking – because that’s what you’ll find at Sunsethouse. 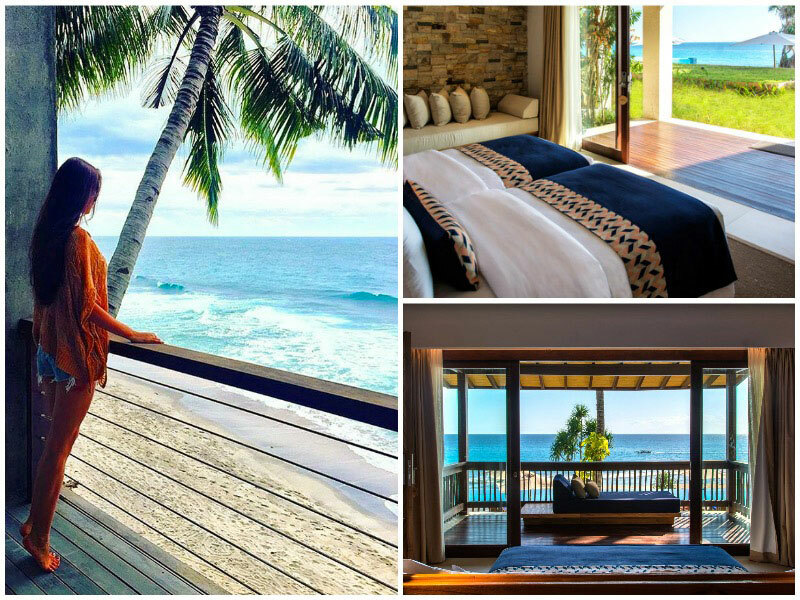 This resort is very aptly named – due to its oceanfront location, incredible sunsets await, whether from your ocean view room or from the pool overlooking the clear blue ocean. 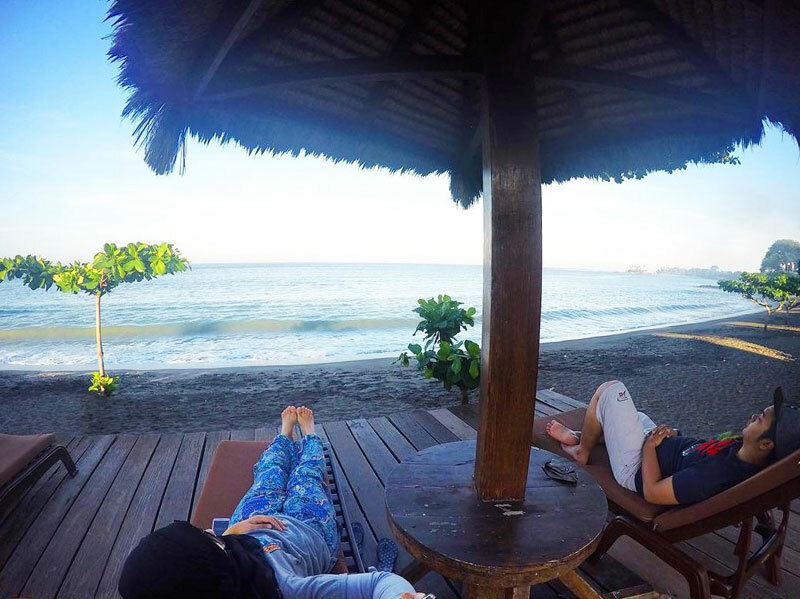 If you fancy an exciting day in town, the Senggigi city centre is only a 10-minute walk from the hotel grounds, but a day spent in one of the beach gazebos can be just as fun! 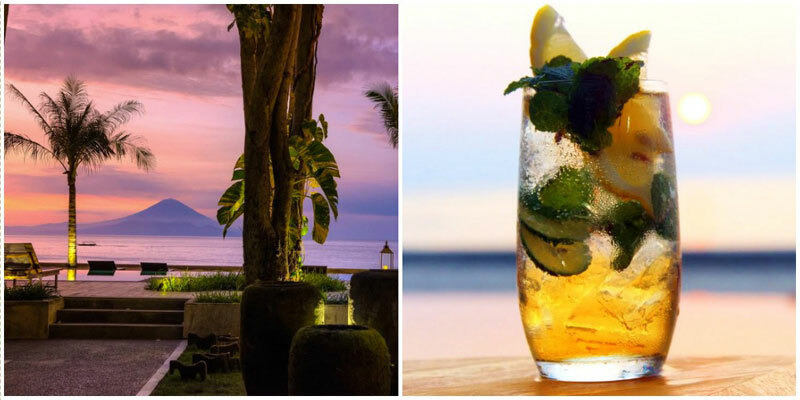 Coupled with an ice-cold cocktail – what better way to spend a day in tropical paradise? 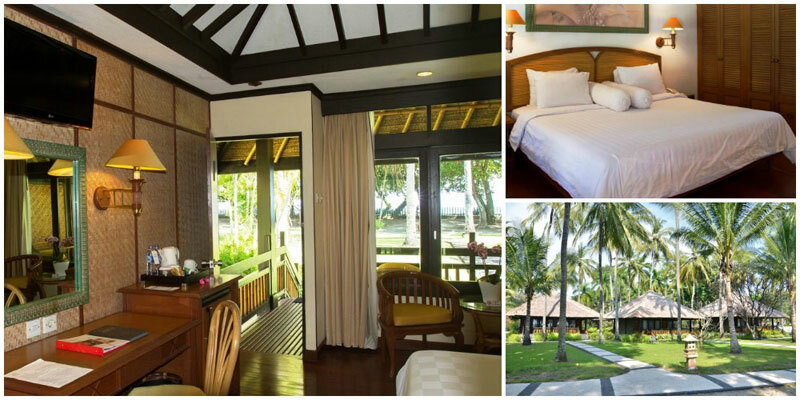 The Desa Dunia Beda Resort, located on the beautiful nearby island of Gili Trawangan, is anything but ordinary! 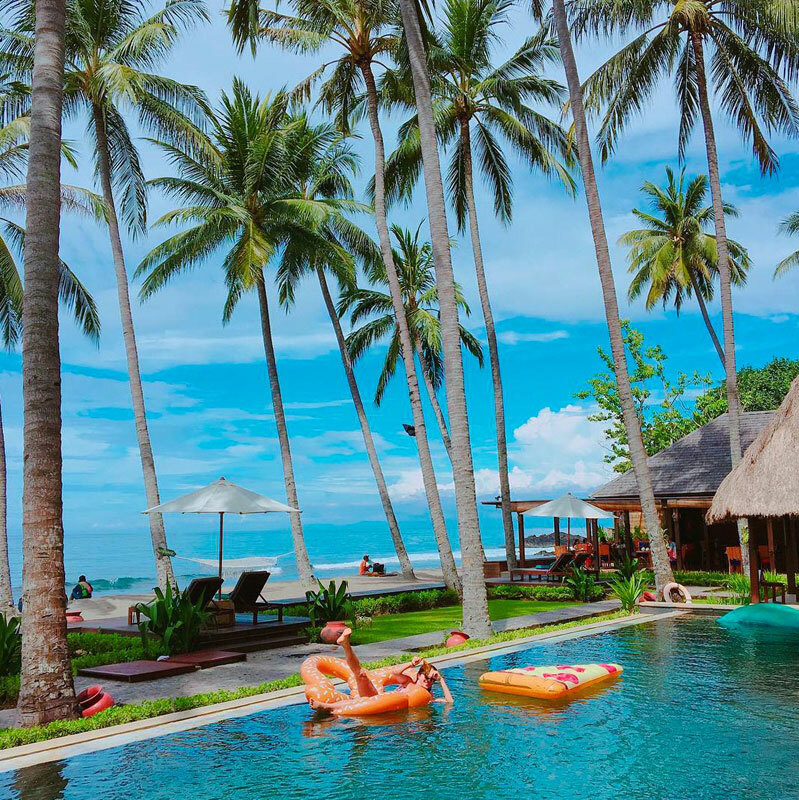 From its saltwater swimming pool to seashell-decorated white sand beach, this resort is the perfect place for those who want to be one with the sea. 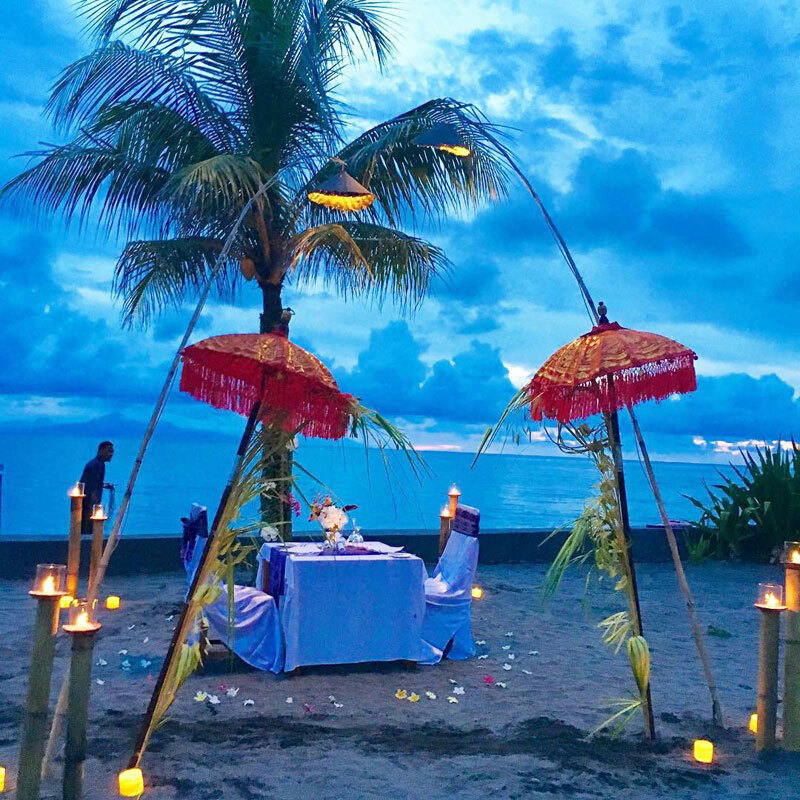 You can enjoy a romantic dinner on the beach, so it’s a great retreat for couples celebrating an anniversary or having a private getaway. Thanks to its open-air eco bathrooms, you can immerse yourself in true island life with an evening saltwater shower – the perfect way to relax before bedtime with the healing powers of the sea. 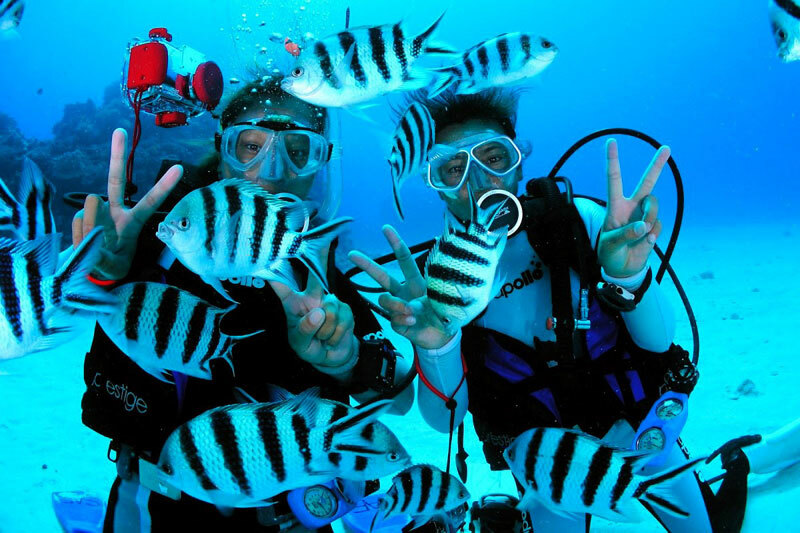 And for those who really want to experience the crystal blue water, the hotel organizes scuba diving, snorkeling, and even fishing trips! 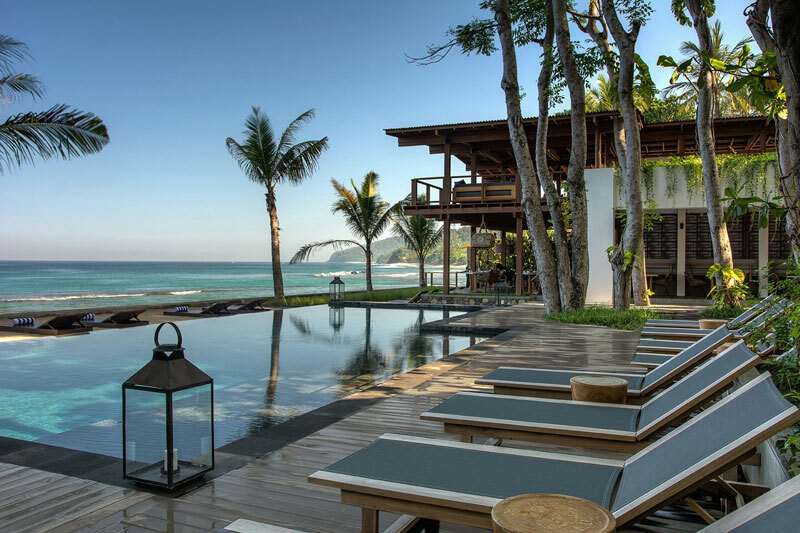 Know of any other affordable luxurious beachfront villas? We’d love to hear from you – let us know in the comments below! 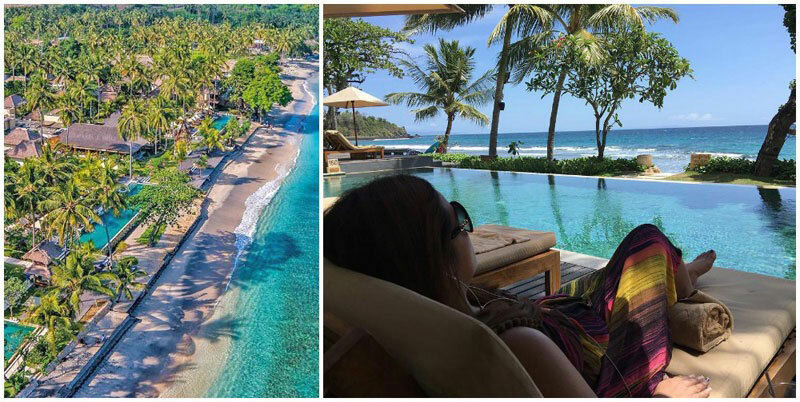 The first-timer’s guide to Lombok: Best of things to do, attractions, beaches, islands and hotels!